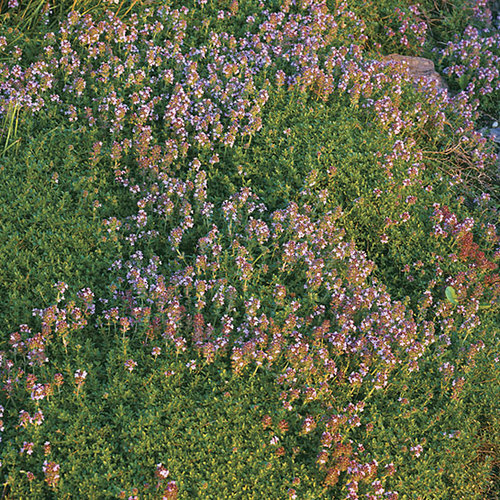 Thymes produce carpets of blossoms in shades of pink, purple, or white. 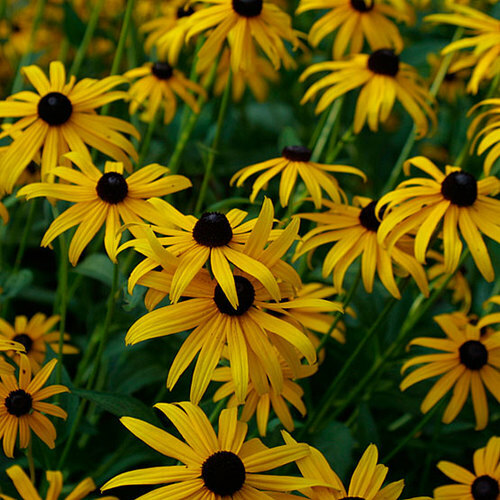 They are native to dry grasslands of Eurasia, and most thrive in any dry, well-drained spot. 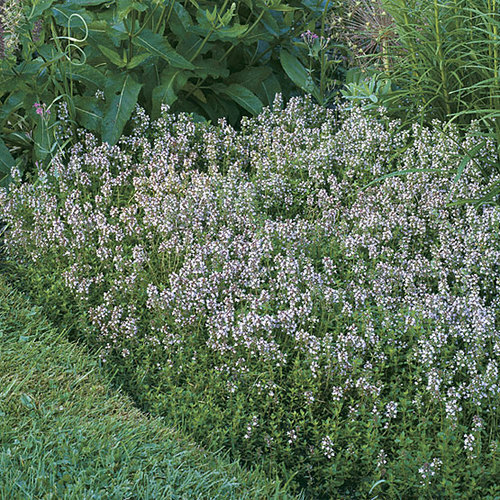 Patios, walks, rock gardens, stone walls, and pond borders all benefit from the creeping, mounding, and cascading habit of thyme. 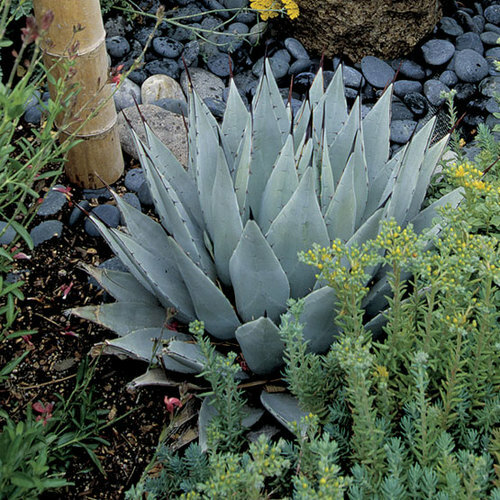 Prostrate species spill gracefully over stone walls and can be grown between pavers where occasional foot traffic releases their distinct aroma. 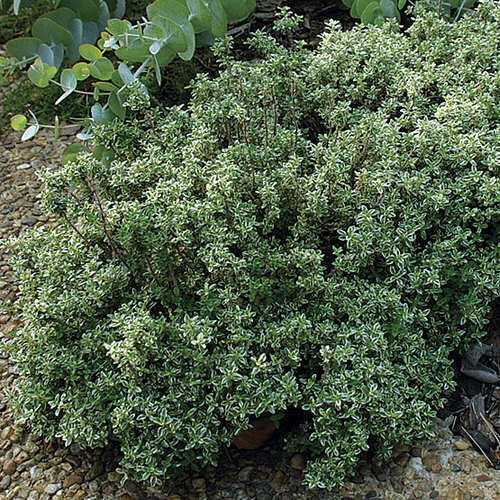 Some thymes are used for cooking and making tea, and all species ornament herb gardens or formal areas. 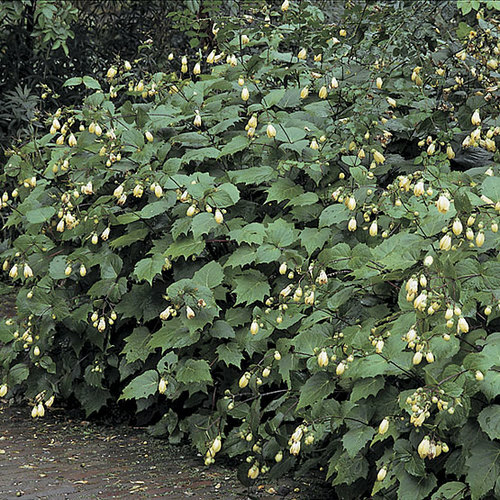 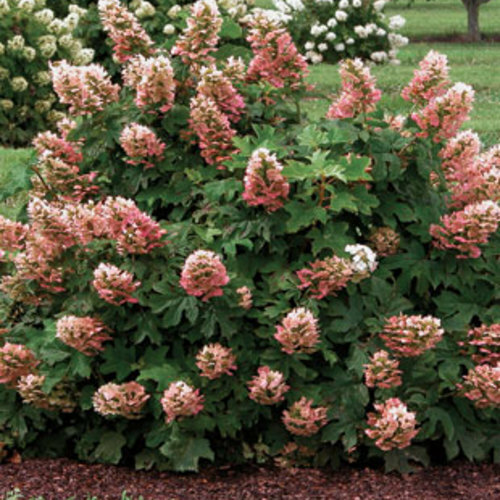 These plants are well loved by bees and butterflies. 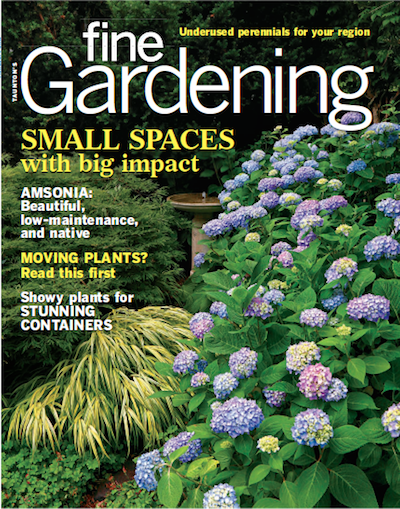 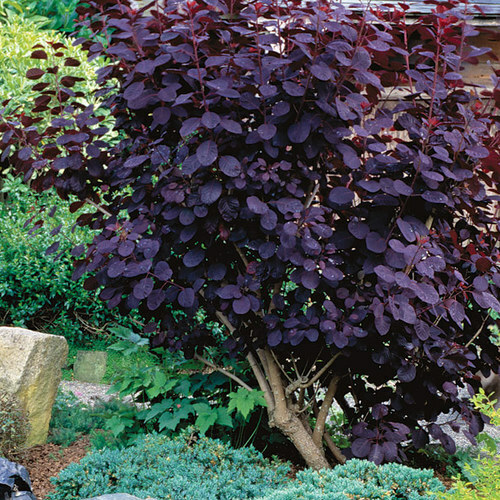 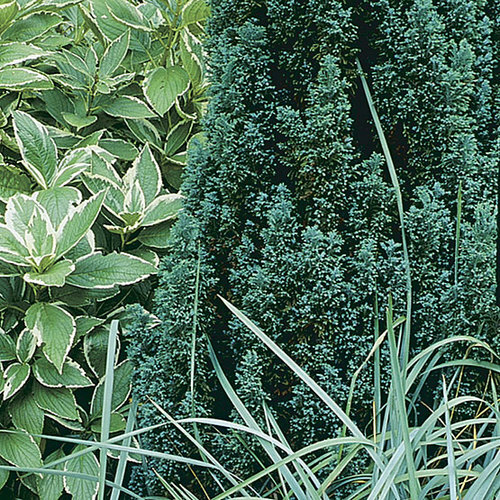 Noteworthy CharacteristicsThese diminutive mats, mounds, and erect subshrubs provide texture to gardens in both flower and form. 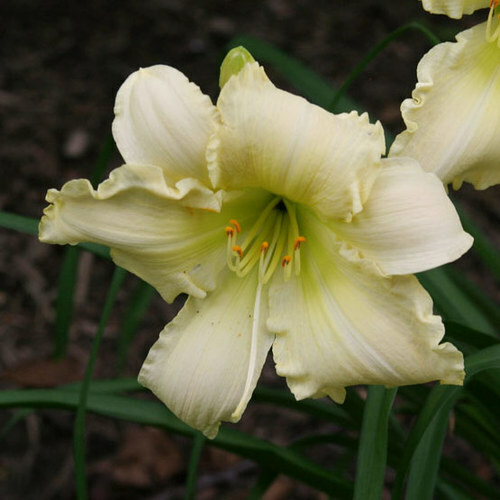 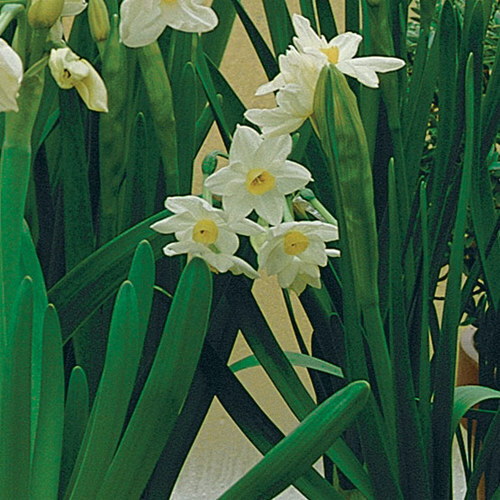 They are invaluable for their fragrance and their culinary attributes. 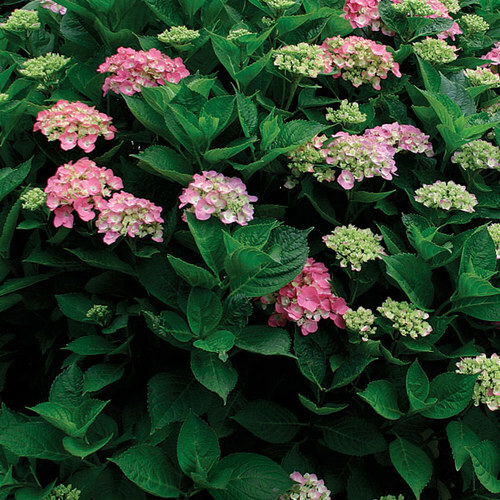 CareGrow in well-drained, average, neutral to alkaline soil in full sun. 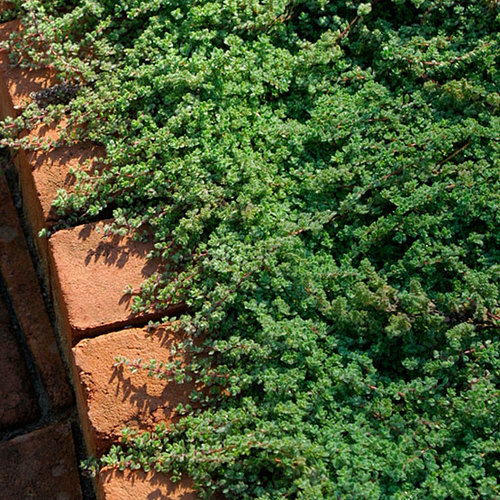 (Woolly thyme and some golden or variegated species tolerate partial shade. 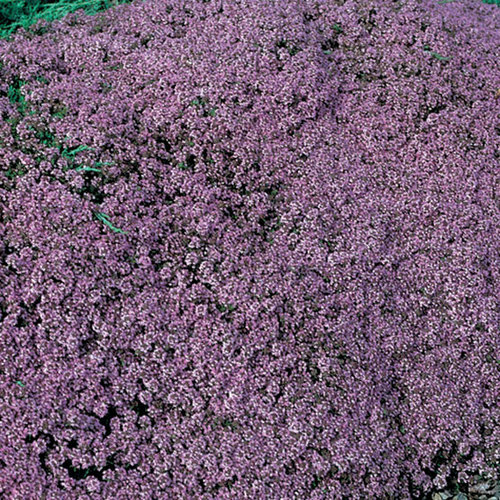 Woolly thyme needs good air circulation in regions with high humidity.) 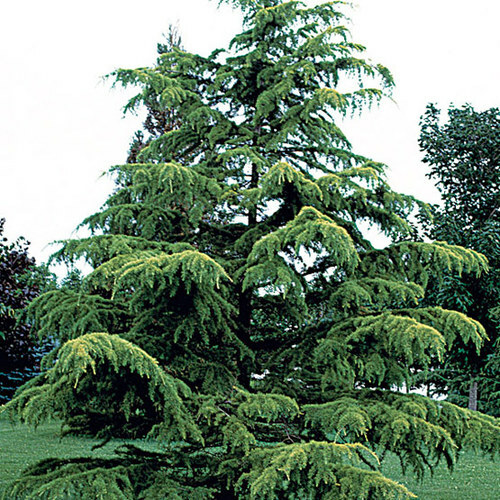 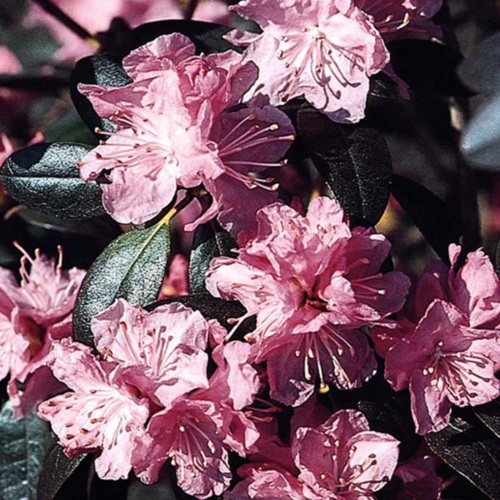 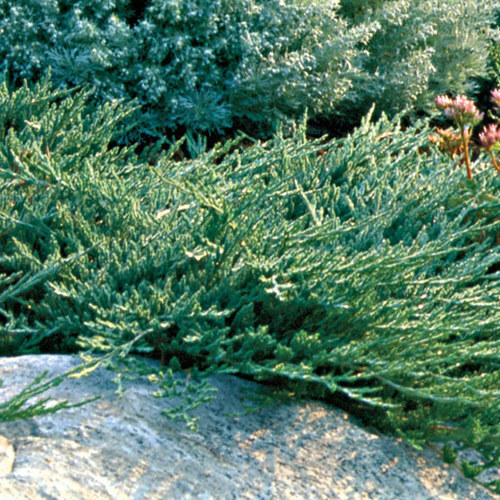 In early spring, shear low growing species and lightly trim back after flowering. 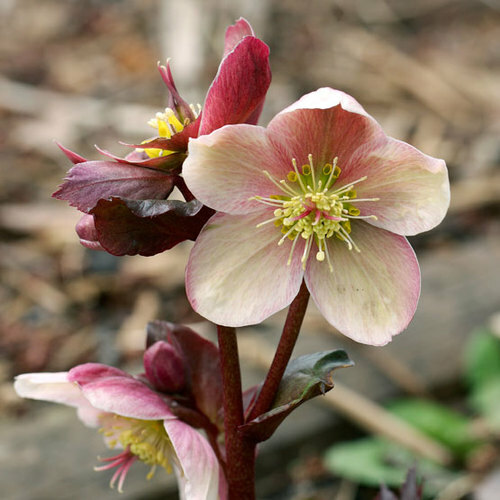 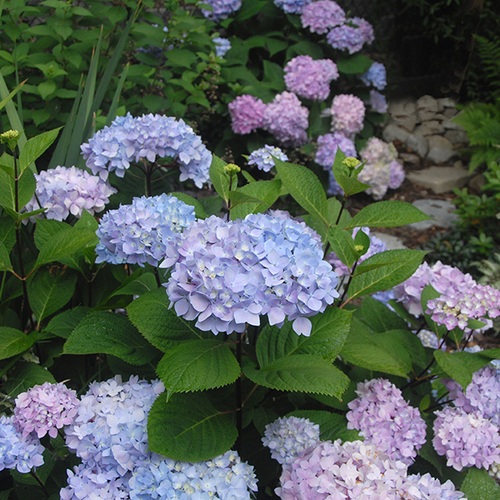 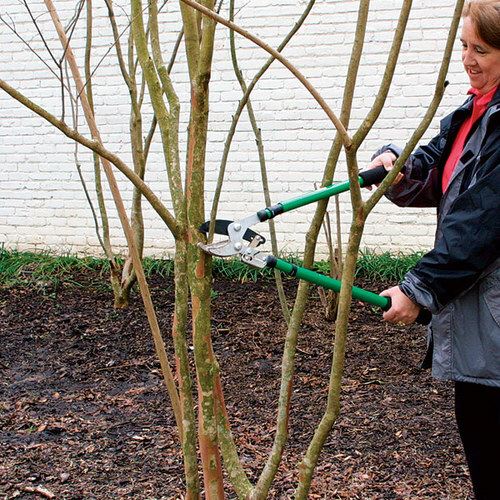 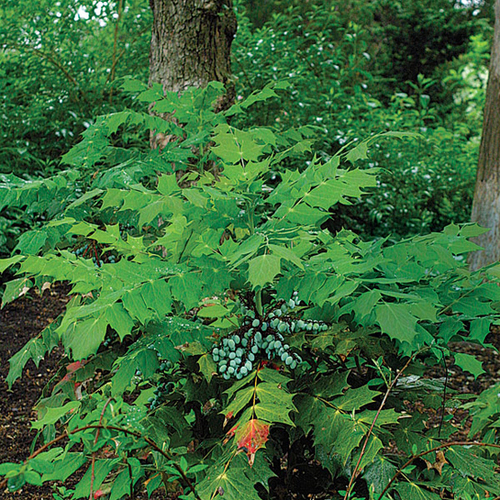 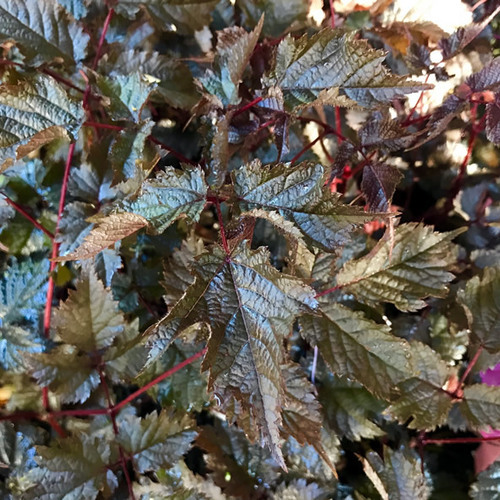 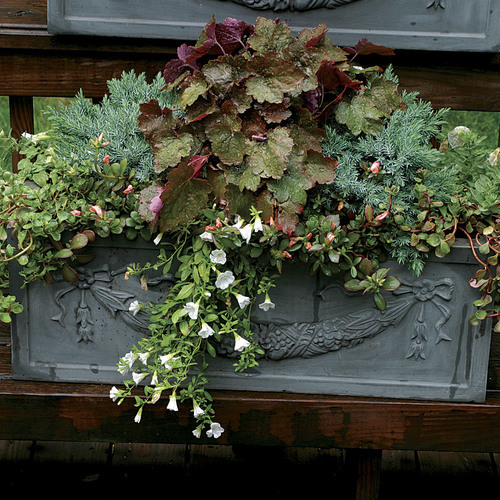 In spring, cut back flowering shoots of erect shrubs to 1/2" to 1" of previous year's growth. 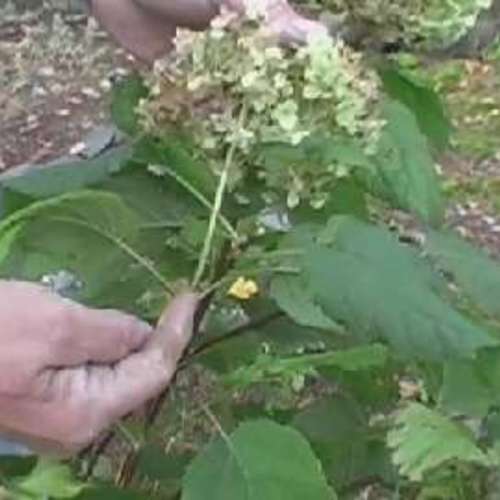 PropagationDivide or mound-layer in spring or fall, take softwood cuttings in early summer and semi-ripe cuttings in midsummer to late summer. 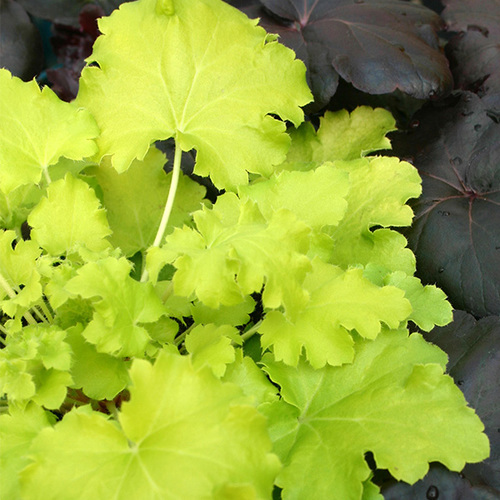 Sow seed in spring—thymes are slow to germinate and hybridize regularly.